Samsung has said that it will release QLED 8K TVs in six sizes ranging from the base 55 inches to 98 inches for the global market. Samsung’s 8K QLED TVs were launched on its home turf, the US, Europe and Russia in late 2018. Samsung to launch 8K QLED TVs in 60 more countries by March 2019. A top company executive claims that Samsung will account for over half of 8K TVs sold this year. He also claimed that 5G technology will pave a way for high-quality content and games. 8K content may not be available for consumers to enjoy, but that isn’t stopping Samsung from launching its 8K TVs in the market to get first-mover advantage. The company launched its 8K TVs in South Korea, the US, Europe and Russia in late 2018. According to the Korean news agency Yonhap, the South Korean tech company is now set to launch its 8K QLED TVs in 60 other countries by March 2019. There is no information on the specific countries where the premium TVs will launch and we're not sure if they will be headed to India. Samsung said it will release QLED 8K TVs in six sizes globally, ranging from the base 55 inches to 98 inches. “Display should come first followed by content. The opposite case never happens. The 8K QLED TV presents the best image quality for any content. We are confident in its quality,” Han Jong-hee, President of Samsung's Visual Display Business, was quoted as saying. QLED TVs are LED TVs that use quantum dots to enhance the picture quality. Samsung claims that its new lineup will have an image resolution four times more vivid than its 4K counterparts. 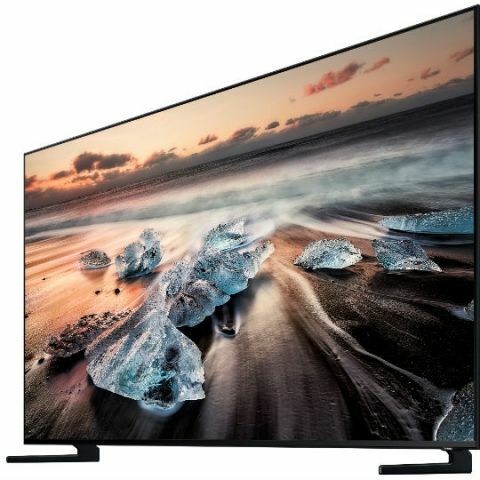 The executive highlighted these televisions have the Artificial Intelligence (AI) features enabled by “Quantum Processor 8K”, which upscales lower-quality content to appear close to 8K resolution. The AI capabilities also automatically optimise the sound corresponding to the scene. The executive said that the commercialisation of 5G technology will pave a way for high-quality content and games, leading the increase in demand of the TVs that offer high resolution. “Once 5G networks are commercialized in South Korea and the U.S., there will be more 4K and 8K videos as well as augmented and virtual reality content,” Han was quoted as saying. The executive also claimed that the company will account for over half of 8K TVs sold this year. Samsung has been a leader in TV business, however, ZDNet says that its homegrown competitor LG is closing the gap between them. Samsung has been reported to change strategies not only in the smartphone market, but also in TV segment. Yonhap reports that Samsung is looking to take a two-track strategy for its premium portfolio to cover both QLED and MicroLED TVs. “For MicroLED TVs, we will first target the corporate sector and set the strategy for the mass market after looking into consumer reception and the ability to provide products at competitive prices. If the market shifts toward large televisions faster than expected, it will drive up demand for MicroLED as well,” Han said, adding that Samsung aims to ship 5 million units by 2022. At CES 2018, Samsung unveiled an 85-inch AI-powered 8K TV as well as a 146-inch 4K modular MicroLED TV called 'The Wall'. At this year’s event, Samsung released a 75-inch version of ‘The Wall.’ It competitor LG introduced a new line-up of LG TVs, which includes an 88-inch 8K OLED TV. Sony also announced additions to its Master Series line-up of TVs at CES 2019. These include the Z9G 8K LCD and A9G 4K OLED televisions.